So those of you that know me from FGI, Im a Ho of vast reputation. I just reacquired a set of AW3 though the swapshop. I had these a while ago. So, must say, these feel so nice-just as soft as my snake eyes 600B and at least 1 1/2 club longer-yes due to stronger lofts, but same shot height etc. I also picked up a LaJolla 450CC 12* driver for cheap with a Fuji E370 E fit-on shaft for giggles adn used it in my league for the first time and was pretty impressed-yes old tech but it was straight and fairly long. Coachsb Just here to say I miss the typos and uncapatilized letters! 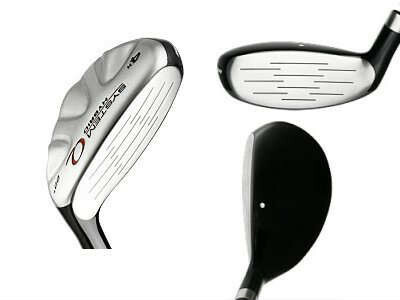 SMT Spectrum 11 degree and SMT CB1 irons. They are for use at a later date, namely retirement age. When they came out, I got two AW-3 sets for friends and played the AW-3 GW and SW for a while. All of us liked the feel for sure. Seem to remember i bought AW3 off you or you off me, we did that a bit back in the day. Hard not to love Infiniti stuff. Good to see you posting again Steve. We missed your typos. 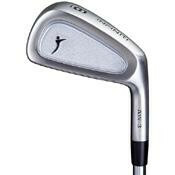 My Wishon Sterlings just got booted out of the bag by some 15 year old Acer Undercut Sole irons reshafted with some Mitsubishi Fubuki graphites. No full clubs, but the Aldila NV 85 is a helluva shaft, got it in my driver and it has performed well for me in a number of drivers and fwy woods. The NVS 85 also no slouch! I made a thread about this recently, but for me it is the TF Yours from 2003 (of OMG thread fame). Regripped them with cb2 pro jumbo size, and they are very sweet. Just put a Golfsmith Harvey Penick 9 wood and a XPC Rough Rider 5 wood back in the bag. After playing 2 rounds my thoughts are why did I ever take these clubs out of the bag??? I did re-shaft them with Motego geezer flex shafts. I’m playing a lot of old stuff, but I haven’t un-acquired and re-acquired anything. Put a Bang 401 Slupski back in the bag after many years and it was working good for me until yesterday - when I couldn’t hit anything. Wishon 949MC driver and Golfsmith Hi cor 7 wood for me. So great to hear from you again, Coach! Nice to see you back Coach. I still have an SMT DB455 lurking, broke out an Ashton X-1 last round for a few shots, it still gets it done for sure, plenty long and more honest with your impact too. Some may not appreciate that part. Have put my old Seemore back in play with a new Superstoke 5.0 grip. But I just cannot get it to work. the old site, but we need imput and help like those of your ability can supply to this site. Those on this site who have met You, played a round with You, and enjoyed the opportunity of your presence, we Thank You. Cleveland Launcher (original) and TaylorMade Burner Superfast drivers. Due to inconsistency with a Ping G30, I can put either one of the others in the bag and get better launch with good distance and more accuracy. Cameron Newport 2 back in the bag. The Alpha C830.2 driver just can't seem to stay out of my life!! It was the first driver that I ever truly loved, falling for her with the very first swing way back in 2005. Back then it was an 8.5 loft X-flex (Penley ETA Tour), and I would get mad whenever I DIDN'T hit the ball over 300 yards. As I aged and I grew wiser, and weaker, and started focusing more on hitting fairways rather than bombing it as far as humanly possible, I got rid of it because I didn't hit it well when I swung slower. Then after missing her for a while, I picked up a 9.5° and shafted it up with a stiff flex Harrison Saga. After a few years of that I switched the 9.5 head to a 10.5 (same shaft), and played that on/off for a couple more years. After seriously hurting my back 4 years ago and losing nearly all my power (a 250 yard drive is a bomb for me these days) I got rid of that one, but last fall snatched up a 12 degree which I paired up with a firm flex Matrix Red Tie. To this day, it is the best sounding and feeling driver I have ever hit. I hit some longer, and some straighter, but none sound or feel as good as my first true love. I recently picked up a steel Ping Pal 2 putter, and have used it for a few rounds - nice simple design, and it just seems to fit my eye (although I have added a few strips of lead tape on the sole to add a bit of weight). I occasionally put my Purefit DC Tour V450 driver in play. Best feeling driver ever. Coachsb, where the F have you been? MidwayJ I occasionally put my Purefit DC Tour V450 driver in play. Same here. We may be the only 2 left with them. Mine is like a whore, having had so many different shafts stuck in it through the years! And still puts out the same.